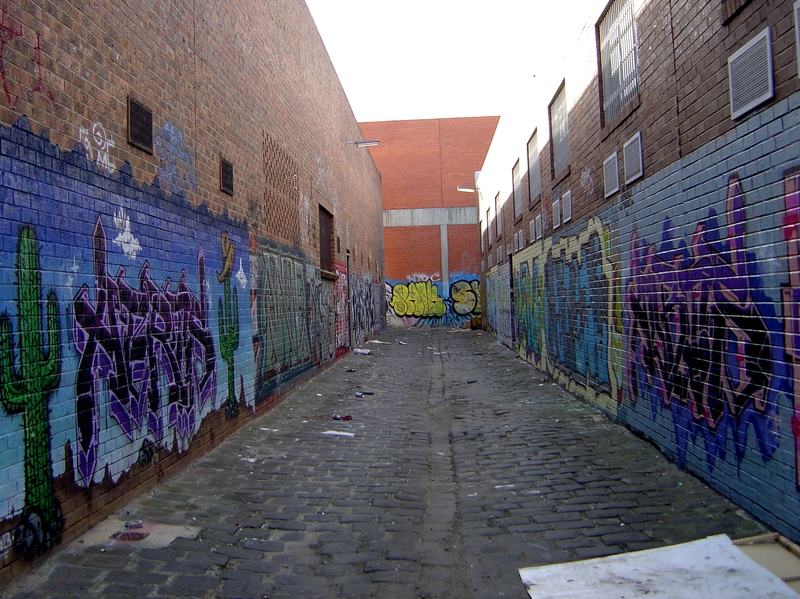 Looking around the streets of Brunswick and Coburg and glad to back in the neighborhood after all my recent travels. I try to see some exhibitions and do see some new street art. That’s the thing about street art, it makes the city more dynamic, it is constantly changing and so the familiar bike ride into Brunswick is always changing. 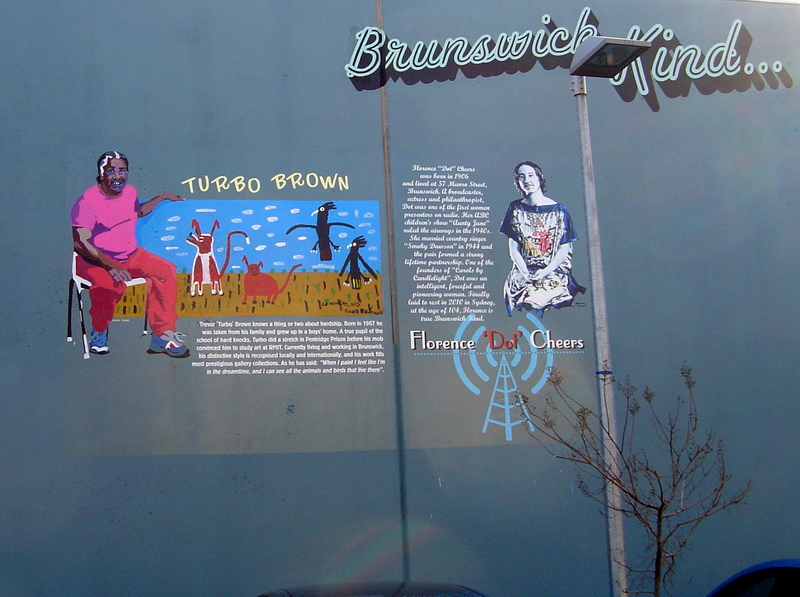 The car park wall at Sparta Place now has more local indigenous heroes commemorated on it in the “Brunswick Kind” series. Turbo Brown and Florence ‘Dot’ Cheers join Peter “Cocoa” Jackson on the wall. I could feel the artistic vibe coming off Victoria Street. Comic drawing classes were being held at Squashface Comic Studio and there were life-drawing classes at Art Health Australia. The now old-fashioned looking stencil covered front of Han’s Café. There is an install at Brunswick Arts Space, White Elephant was empty but Tinning Street Presents.. was open. “Future Clean Up” is a group exhibition by artists involved in a rocking zine scene, hence the art on exhibition graphic and often over-the-top style. Leagues, one of the artists was drawing and gallery sitting. I could tell it was Leagues because of his recognizable style of using drips and eyes. Quality fresh aerosol paint now covers the upper part of the lane that Tinning Street Presents is on. Previously the street art had stopped at Tinning Street but now it continues for the whole lane. Is there any where in Melbourne that Lush hasn’t been? I’m in the taxi going home from the airport and the first piece of graffiti that I see is by Lush and here he is again in Coburg. 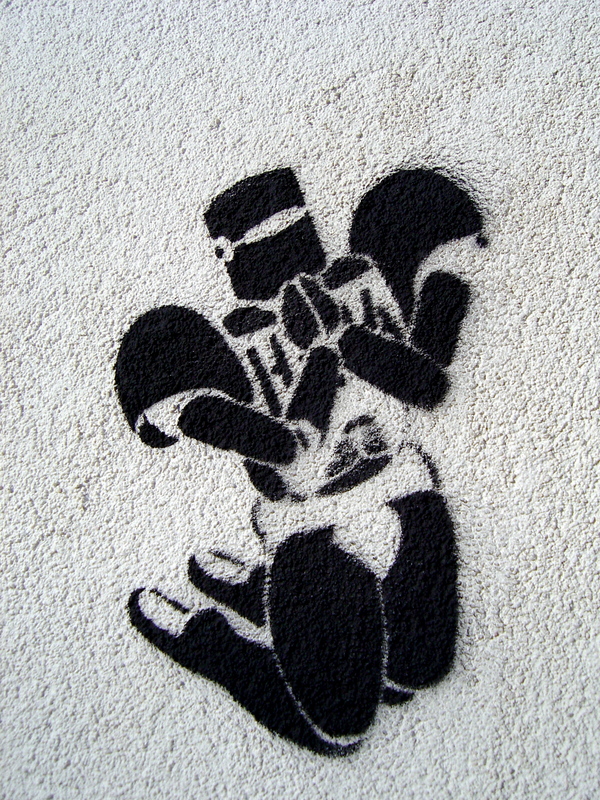 After that I spotted some recent HaHa stencils on a Coburg wall. Although some of his stencils are from work in his recent exhibition at Dark Horse Experiment they aren’t attempting to reproduce the multiple layers and multiple images of HaHa recent gallery work. 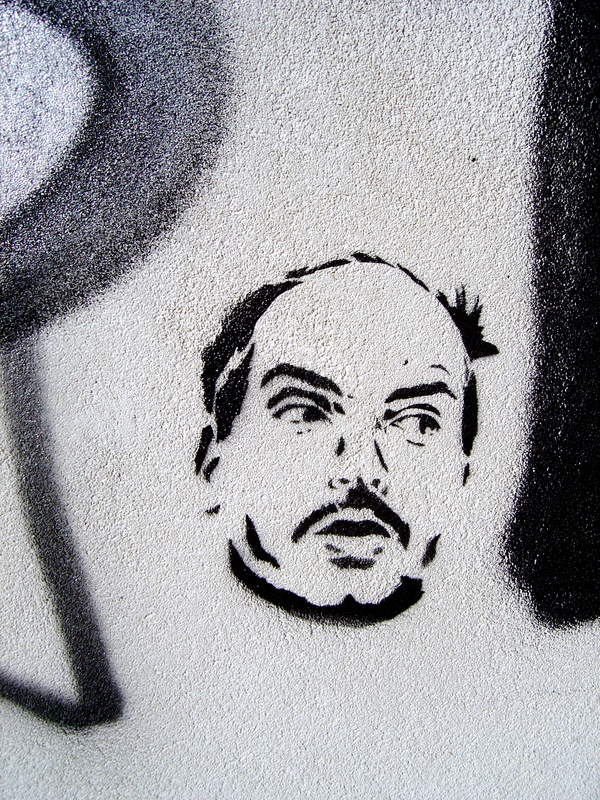 They are old-fashioned stencil like he used to do a decade ago.